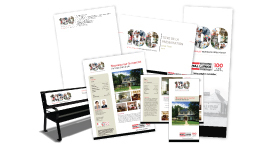 Royal LePage provides you with contemporary buyer and sellers presentations to help you express your unique value proposition. These presentations are fully customizable by you so you can position yourself as the most qualified choice to your prospective clients. The Royal Lepage Flower City Realty Front Office Solution, also includes a contact management system that will allow you to do full drip marketing campaigns as well as create professional listing feature sheets and so much more.